The silver Capture Camera Clip v3 from Peak Design is a harness system for professional gear that is designed to withstand forces up to 200 lb. 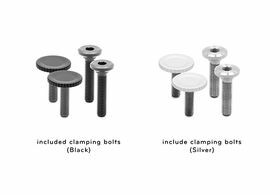 The main component is a durable metal clip, which uses included thumbscrews or hex-head bolts to clamp onto any strap or belt as wide as 2.5" and as thick as 0.87". 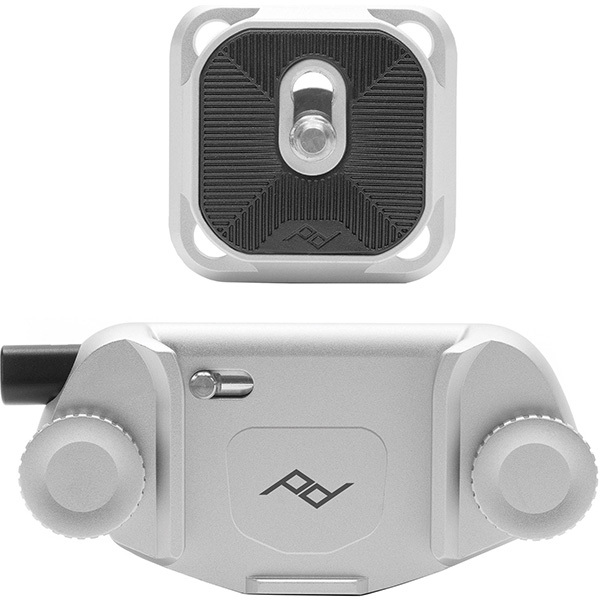 Paired with it is an Arca-type compatible quick release plate that slides onto the clip to lock movement in all four directions, and features four loops for attaching optional Peak Design anchors. The Capture v3 keeps a slim profile at only 3.3" in length and weighing 3 oz, and all its parts are made of weatherproof aluminum that resists rust. 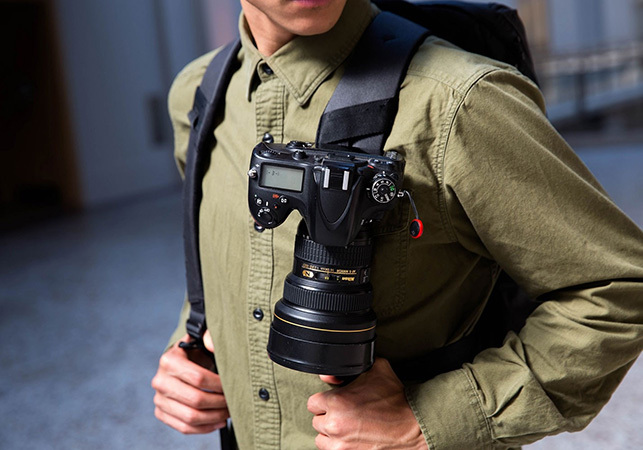 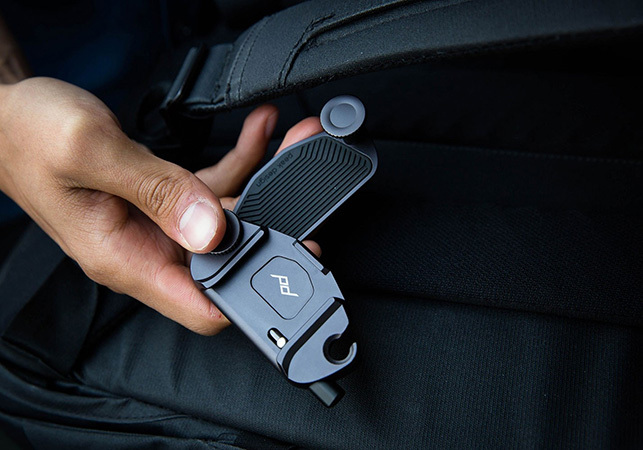 The clip is equipped with a quick release button so you can instantly grab your camera and start shooting, and has a security lock that can be activated to prevent accidental release during longer trips. 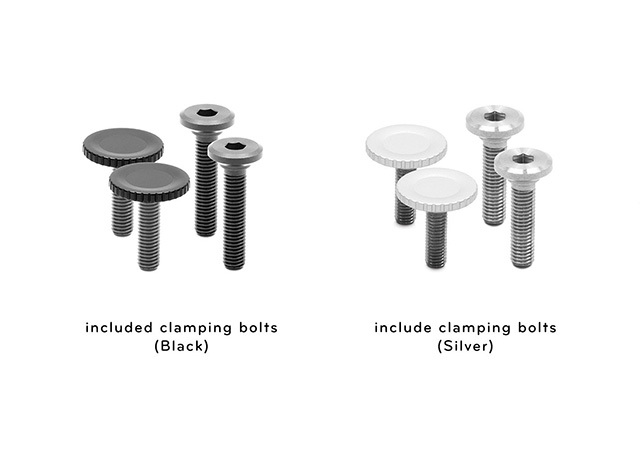 For enhanced stability, an anti-slip pad is used on the back plate for grip. 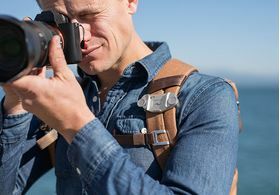 All legacy Peak Design plates work with the Capture v3 except for the DUALplate v1, allowing you to carry objects such as lenses, binoculars, or GoPro cameras with optional accessories.